I’ve expressed my admiration and respect for Larry Hama before, but you can never spend enough time praising someone that was so important to an entire generation of kids, even if they never realized it. As the writer, creator, and occasional artist of the G.I. Joe comic series, he brought life to hundreds of toys, giving them all interesting personalities and defining characteristics. What could have been another run-of-the-mill licensed toy comic, became one of the defining comics of the ‘80s (the cartoon would also use many of the bios he developed as a basis for the series.) G.I. Joe and Transformers were groundbreaking cartoons unlike anything really seen before it, and I happen to believe they, along with Star Wars, unlocked the imaginations of untold amounts of children. 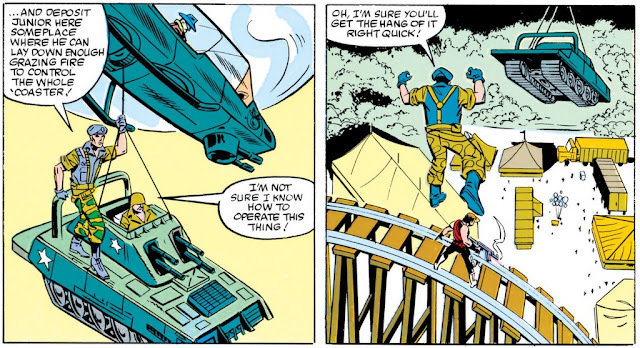 We owe Larry Hama a tremendous debt. With that, I have decided to read those original Joe comics again, and highlight a few things to help inspire, entice, or nag a few of you into doing the same. G.I. Joe: Classics volume 3 and 4 cover issues 21 through 40 of the original series. All were written by Larry Hama, with art primarily by Mike Vosburg, Hama, Russ Heath, Frank Springer, Rod Whigham, and others. One of the interesting things I noticed as I read these comics again, is how few captions Hama uses. There are hardly any to be found beyond the standard “elsewhere” or “later that day.” This is drastically against type for the show-and-tell method of storytelling in the ‘80s, especially under the Shooter regime. 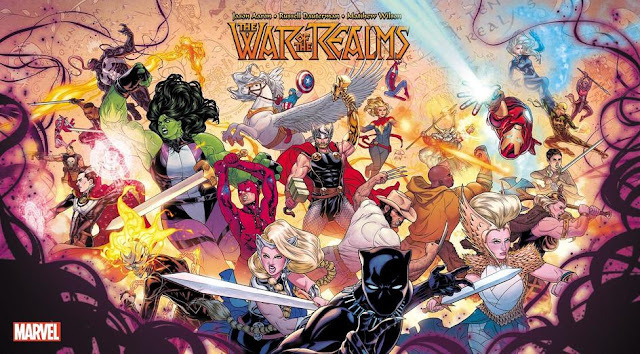 Writers like Claremont and Byrne would write numerous paragraphs of captions for every single page, often describing something that was already readily apparent from the artwork. That’s no knock, I love those guys work, but it makes these comics a little bit easier to read than others from the era. 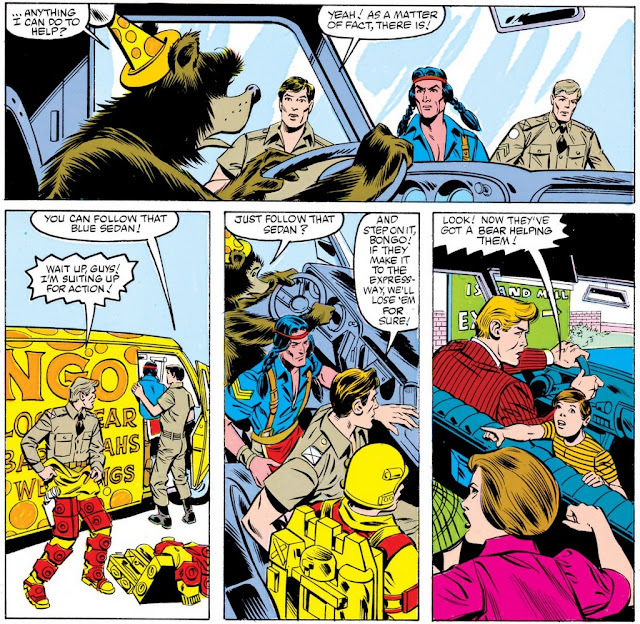 For those of us that grew up primarily watching the cartoon, it can be quite surprising to see such iconic characters like Duke not appearing in the comic series until issue #22. I always assumed that the blonde soldier jumping at the reader in that iconic cover to the first issue was Duke, but no, it was Hawk. In a coincidental reversal, Hawk wouldn’t appear in the cartoon until the second season. Roadblock makes his debut alongside Duke, and quickly establishes himself as a badass of the highest order. 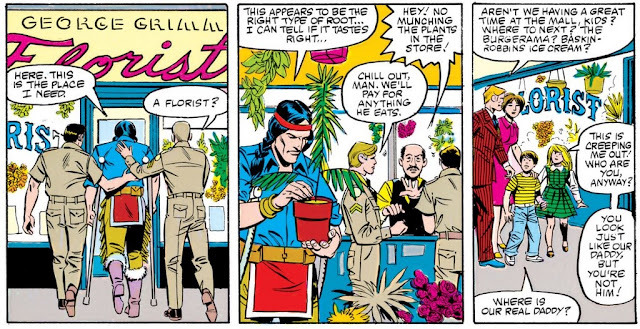 In a scene where Spirit is at the mall trying to find something to heal his Spirit after being injured in battle, I joked to myself that he was really looking to score some weed. Then he goes to a florist shop and starts eating plants. I don’t know which version I like better. Shipwreck was inexplicably one of the main characters of the cartoon series. Inexplicable, because I’ve never met anyone that liked Shipwreck, much less considered him a favorite. Thankfully, he is much less prevalent in the comic. That should be more than enough reason to rush out and purchase these for yourself. 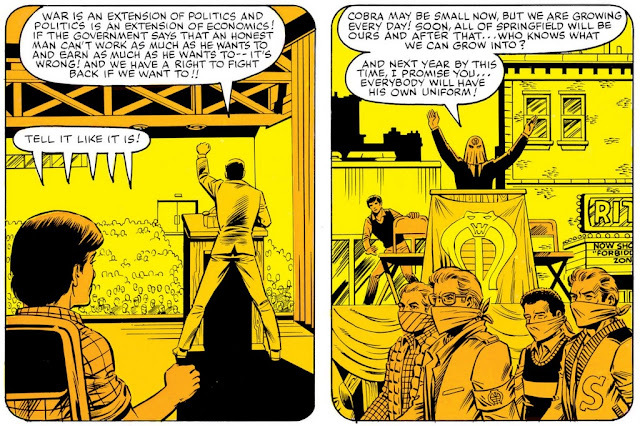 One of the more entertaining aspects of the comic series was watching the various evolving loyalties among the main Cobra characters. 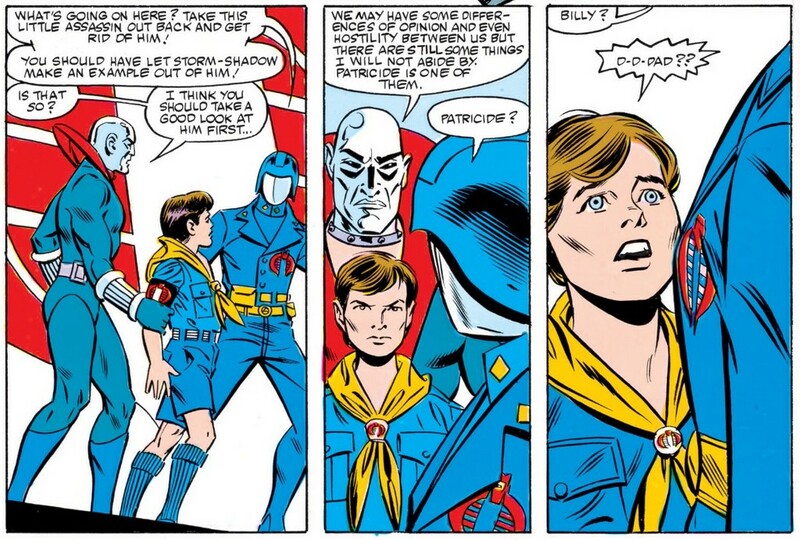 Baroness, Major Bludd, and Destro are often at odds with Cobra Commander, which makes it that much more important that the Commander maintain the loyalty of (recently introduced) characters like Storm Shadow, Firefly, and Zartan. Storm Shadow is only around to learn the true identity of the man that killed his uncle. 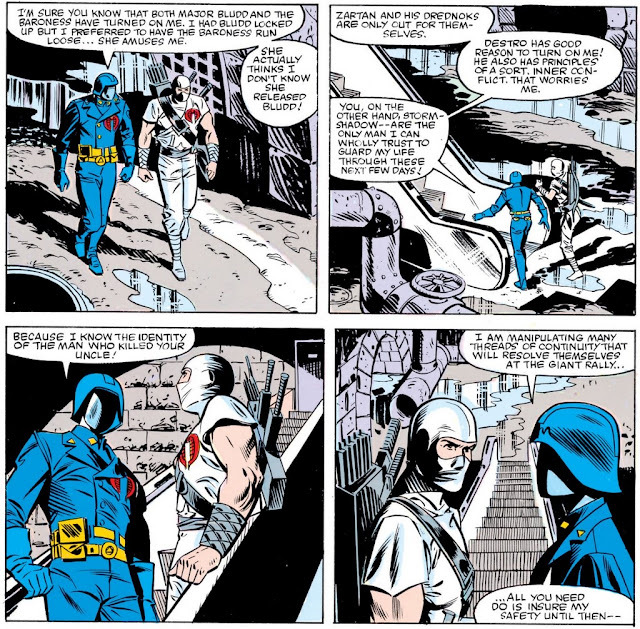 Storm Shadow isn’t actually evil, which is something that is often left out of subsequent interpretations of G.I. Joe. As the series continued, these characters would continue to change their alliances and allegiances. Snake Eyes is granted leave, and he decides to enjoy it at his secluded cabin in the Sierras. Hawk wants to make sure nothing bad happens to their most valued warrior, and assigns Spirit and Airborne to secretly keep an eye on him. Fortunately they were there to help him fight off an all-out assault from Destro, Firefly, and Crimson Guardsman Fred. 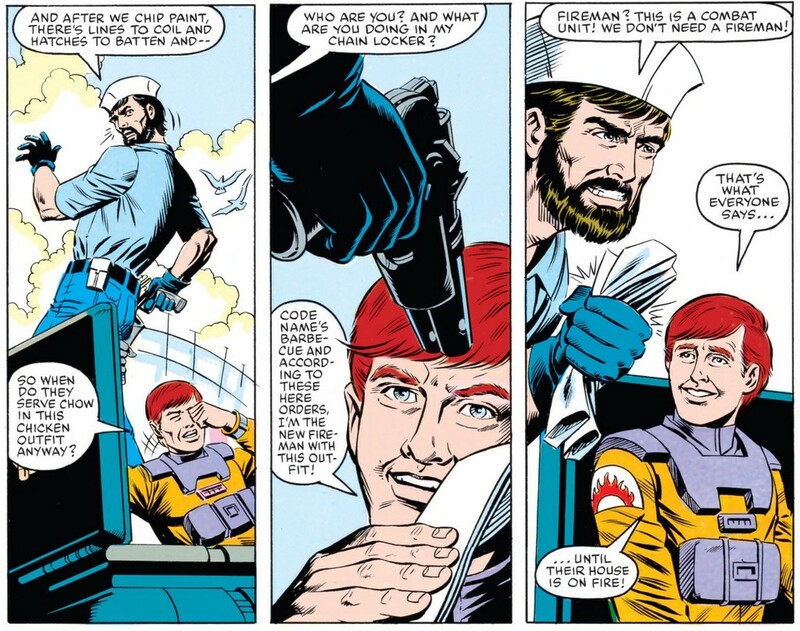 (Cobra used undercover operatives to spy on high profile targets, giving them all plastic surgery to look the same, and assigning them the name Fred, plus a number.) An explosive encounter that is one of the rare instances where Snake Eyes isn’t depicted as invincible. This is just one example of Hama’s ability to tell a captivating one-and-done tale (though this one is technically a couple issues long) which there are several great examples of in this run. 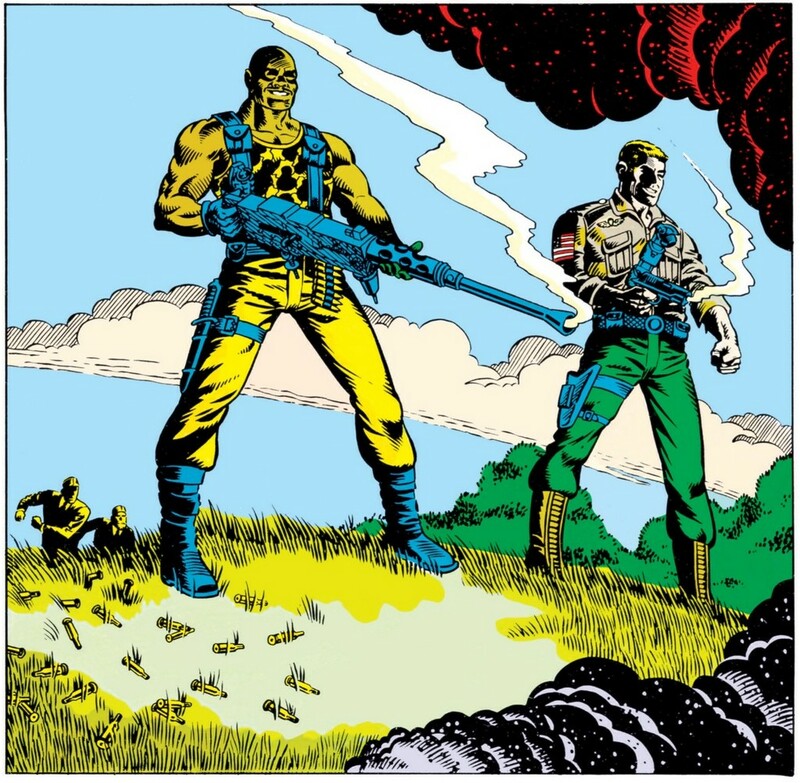 Whether it be an aerial dogfight between Ace and Wild Weasel, or the Dreadnoks out causing trouble with Zartan’s hologram technology. However, during the interrogation, Billy does reveal a few glimpses into his father’s early days in forming Cobra. (Something that is fascinating for those of us that only watched the cartoon, getting a glimpse into the back story of Cobra. Well, one that doesn’t involve snake people and a hidden land called Cobra-La.) Sadly, these scenes aren’t all that different than the political landscape of the world as of late. So much unnecessary hate. There you have it. 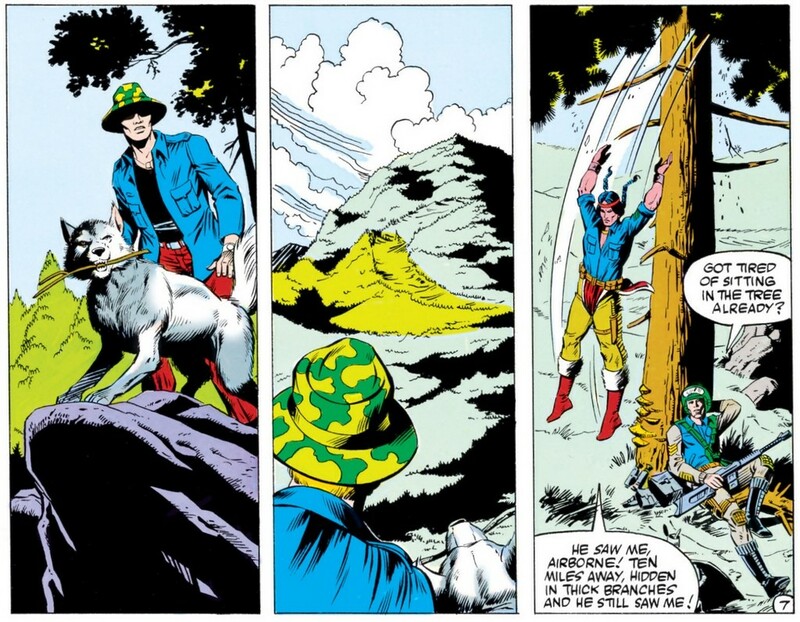 Five fantastic reasons to read one of the best and most influential runs in comic book history. 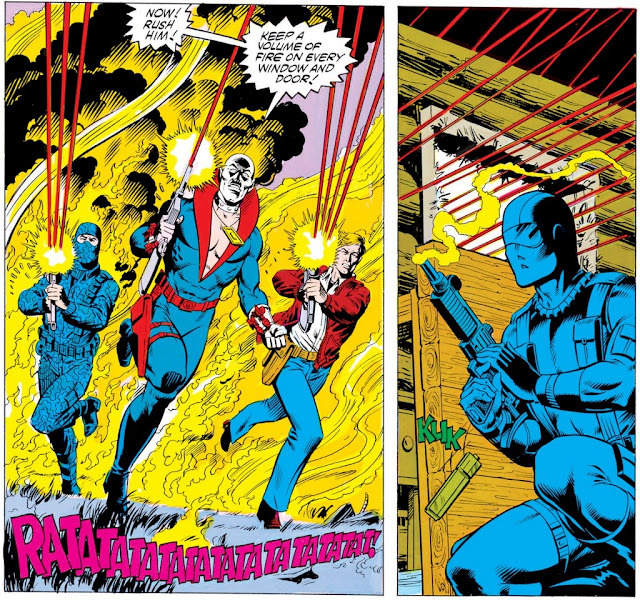 Larry Hama wrote nearly every comic of that original 155 issue G.I. 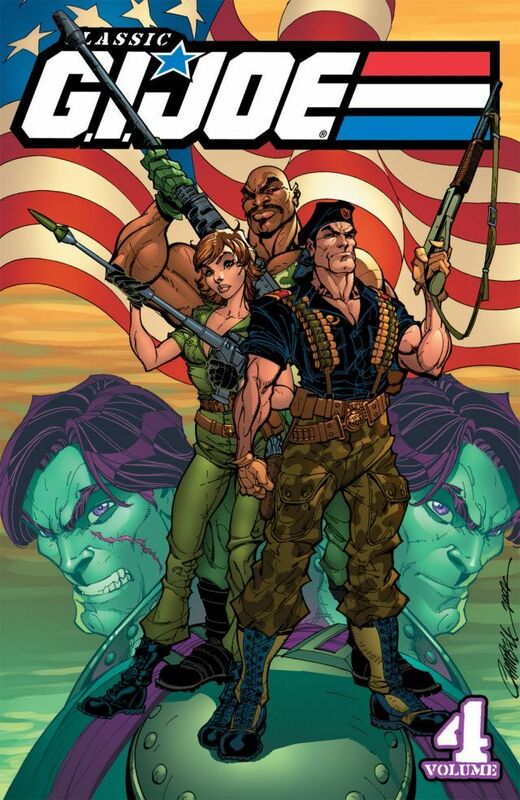 Joe run, and infused it with a level of storytelling skill and military knowledge that truly earns the designation “classic.” If you remember watching the cartoon but never read the comics, or if you simply love good comics, I can’t recommend enough rushing out and purchasing your own copies today. Go ahead, we’ll wait for you. Now that they’re gone, we can talk freely. Just kidding, I’m done. 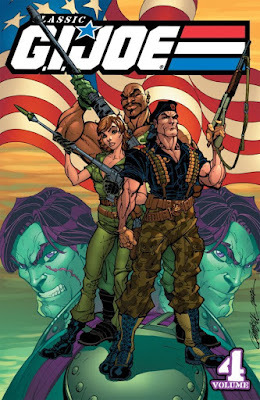 GI Joe #2 started it for me, and for the next 9-10 years it was a staple of my comics collecting. Good stuff indeed. I may need to pick up the early volumes to fill in a few of the early issues I missed.